discover itSimilar to the standard version, the Discover it for Students has very few fees and offers an opportunity to earn cash back on purchases. There is no late payment fee for the first offense and your APR does not increase, allowing students some leeway to learn the ropes. Sign-up Bonus. You receive a bonus of $20 when you are approved for the Discover it for Students card and make your first purchase within three months. Fees. There is no annual fee, foreign transaction fee, or penalty APR. The balance transfer fee is 3%. There is no late payment fee on the first late payment, but after that a fee of up to $35 is applied. APR. The APR on purchases ranges from 12.99% to 21.99%, based on your creditworthiness. The balance transfer APR is 10.99% for six months on transfers that post to your account by a set deadline. After that, it is 12.99% to 21.99% and varies according to the prime rate. Student Card Benefits. Sign up for quarterly rotating categories - such as home improvement stores, furniture stores, and Bed Bath & Beyond from April through June 2014 - and receive 5% cash back for those purchases and 1% cash back for all others. The cap on each of the rotating categories is usually $1,500 in purchases. Also, the Discover it for Students is one of the rare student credit cards that does not charge a foreign transaction fee - which could be very beneficial for students who study abroad. upromise world mastercardA partnering of Sallie Mae's Upromise program and Barclays Bank, this card provides a cash back rewards program, options for investing in a Sallie Mae savings plan, and the ability to use rewards to pay down student loans, making it a stellar card for college students. Sign-up Bonus. There is a bonus of $25 cash back when you make your first purchase, cash advance, or balance transfer with the card. Fees. There is no annual fee. During the first 12 billing cycles, the balance transfer fee is 3% or $10, whichever is greater. After that, it is the greater of 4% or $10. The foreign transaction fee is 3%, and the late payment fee is as high as $35. APR. There is an introductory APR of 0% on purchases and balance transfers for 12 billing cycles after the account is opened. After that, the APR is between 12.99% and 20.99% based on creditworthiness and variations in the prime rate. Student Card Benefits. The Upromise MasterCard allows you to earn up to 10% cash back when shopping online with Upromise retailers such as Macy's, Sears, and Best Buy. It offers 4% cash back at Upromise restaurants, 3% cash back on gasoline purchases at Exxon or Mobil, 2% cash back at Motion Picture Theaters movie theaters, and 1% on all other purchases. There is no limit to the amount of cash back that can be earned. Additionally, you can use your cash back to pay your Sallie Mae student loan, invest in savings accounts or tax-deferred 529 plans, or simply request a check for cash. 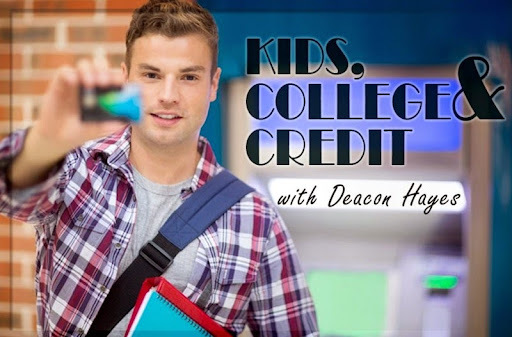 bankamericard studentsThe BankAmericard Credit Card for Students offers a no-frills approach. While there are no rewards for purchases, you do get one of the longest 0% introductory APRs available on balance transfers and purchases. However, keep in mind that in order to avoid interest, your balance needs to be paid off before the introductory period ends. Sign-up Bonus. There is no sign-up bonus. Fees. There is no annual fee. The balance transfer fee is 3% or $10, whichever is greater. The foreign transaction fee is 3%. The late payment fee is as high as $35. APR. There is an introductory APR of 0% on purchases and balance transfers for 15 statement closing dates. After that, the APR ranges from 10.99% to 20.99% based on your creditworthiness and the prime rate. The 15-month, 0% introductory APR is one of the longest available for both student cards and standard credit cards. Student Card Benefits. The BankAmericard Credit Card for Students also offers access to Ultimate Money Skills, a feature designed to help you budget and build credit. The program consists of various finance articles and interactive tools such as the Banking Simulator which teaches online and mobile banking, and provides resources covering everything you need to start building and maintaining a positive credit history. capital one journey cardDespite the industry trend, students with credit scores under 700 can still qualify for rewards cards, sometimes in exchange for a higher APR. Capital One Journey Student Rewards is a great card for students with average credit scores - around the mid-600s - who are diligent about paying their balances in full each month and want to earn rewards on purchases. Fees. There is no annual fee, no balance transfer fee, no overlimit fee, and no foreign transaction fee. APR. The APR for the Capital One Journey Student Rewards card is 19.8% on purchases and balance transfers and varies based on the prime rate. Student Card Benefits. The Capital One Journey Student Rewards card awards an unlimited, flat 1% cash back on all purchases made with the card. This is handy if you don't want to manage rotating categories or plan your spending every quarter. However, as an extra incentive to make payments on time, you also receive a bonus of 25% of the 1% cash back you earn in each billing cycle that your account is not past due. In other words, if you pay your balance on time each month, you earn a total of 1.25% on all purchases, which is higher than the standard 1% of other rewards cards.